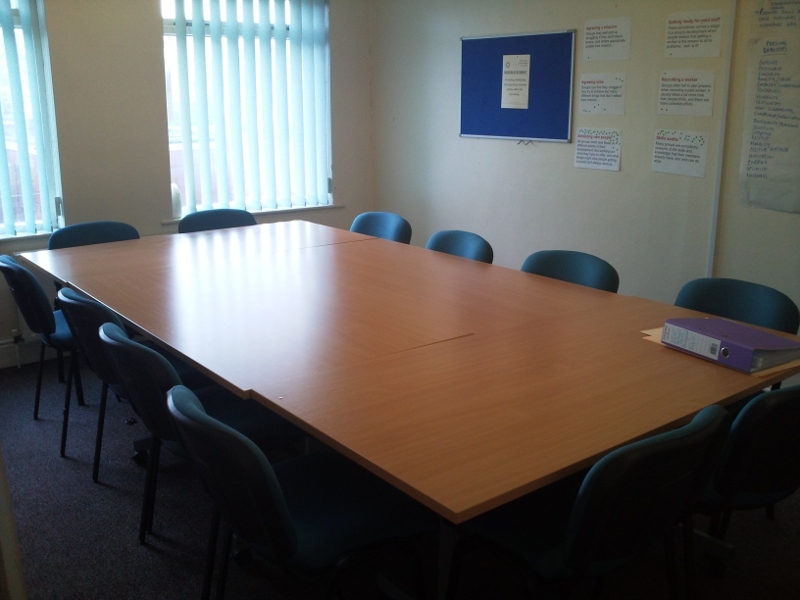 Voluntary Action is able to provide rooms for hire here at our Scunthorpe office. Our facilities are suitable for a wide range of users – from training courses and meetings to one-on-one counselling sessions. We can provide laptops, projectors, smartboards, flipcharts, and full internet access as part of our service, as well as organize refreshments and lunches should you need them (at cost). We have 3 rooms available to suit your needs. Our Conference room is the largest of our rooms. It boasts a computer with full internet access and Microsoft Office suite, a ceiling projector, smartboard and speakers. The room has wireless access points for additional laptops and devices to be used. VANL can also provide laptops for use during your session – each with internet access and Microsoft Office loaded. The tables can be reconfigured or removed to your requirements. A water boiler, tea and coffee are provided at £1 per person. Our meeting room is a comfortably sized room, ideal for more intimate meetings, where a conference room wouldn’t be appropriate. The room is adaptable to many styles, such as a smaller ‘boardroom’ layout, or an ‘in the round’ style meeting (as shown in the picture) Wireless acccess is available, and we can also provide projectors and laptops should they be required.